These Pets have found their Forever Home! This beautiful girl is Ginny! 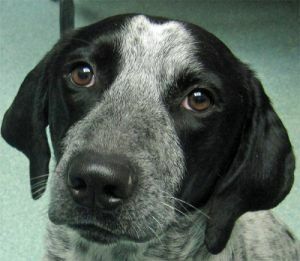 Ginny is an approximately 2-year old female English Pointer who weighs around 52 lbs. Ginny is a joy to be around! Affectionate, friendly, and good-natured. She loves other dogs and people. Ginny doesn't know a stranger. She loves to run and play with her toys. Ginny would do best in a home with another dog or dogs. Being a hound and full of curiosity, she will need to have a stockade fence. 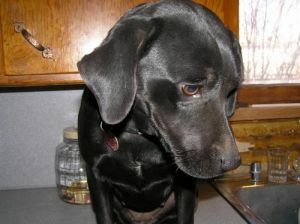 Ginny will need to be an indoor/outdoor dog as she is social and craves human companionship. Ginny is house and leash trained. Ginny is spayed, vaccinated, and heartworm negative. Her adoption fee is $90.00. 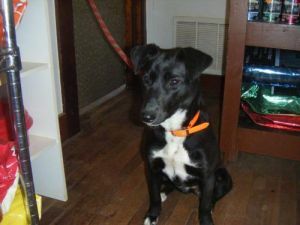 For information on adopting Ginny, contact Michelle at michelle@foreveryoursokc.org. This little lady is Freckles! 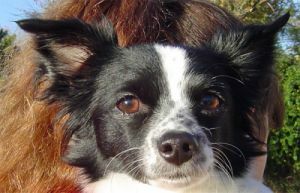 Freckles is an approximately 18-month old Papillon mix and weighs around 8 lbs. She was rescued from the streets of Oklahoma City. 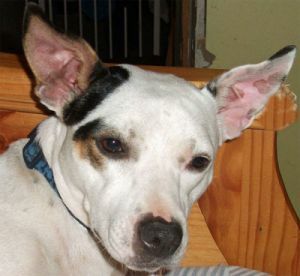 Freckles is very affectionate and forms very strong bonds with her person or family. She would do best in a home where someone is home most of the day. She can be very shy with men at first but will eventually warm up to the. Freckles is fine with children over 8, other dogs, and with people in general. She can be very playful with another dog. Freckles is 90% house-trained with an occasional accident, will need assistance on a leash, and is not destructive when left alone. She is spayed, current on vaccinations, and heartworm negative.Her adoption fee is $90.00. For information on adopting Freckles, please contact Michelle at michelle@foreveryoursokc.org. This handsome boy is Foster! 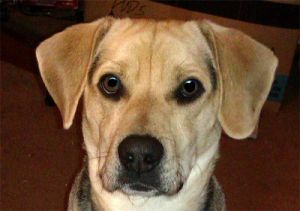 Foster is an approximately 2-year old male Beagle mix and weighs around 37 lbs. He was rescued from a local shelter with just minutes to spare. Foster is a social and friendly guy, with a lot of love to give to his person/people. His favorite thing to do is curl up on the couch with you while you read or watch television. Foster is good with other dogs, children, and people in general. He is okay on a leash and is the perfect size to take with you on a walk or run! Foster is house-trained and must be an inside/outside dog. Foster is neutered, vaccinated, and heartworm negative. His adoption fee is $90.00. For more information on adopting Foster contact Michelle at michelle@foreveryoursokc.org. This very cute girl is Fiona! 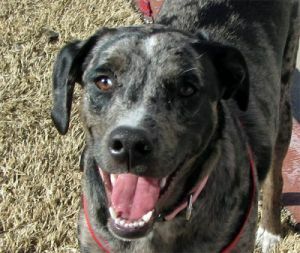 Fiona is an approximately 3-year old female Cattle Dog mix and weighs around 35 lbs. She was rescued after being abandoned in the country. Fiona is a fun and happy dog. She loves other dogs (has only had a problem with one other dog), children, and people in general. Fiona is a pleaser and wants to be by your side. She does not like to be crated but can be trusted to stay by herself in the house. She is not destructive and is house-trained. 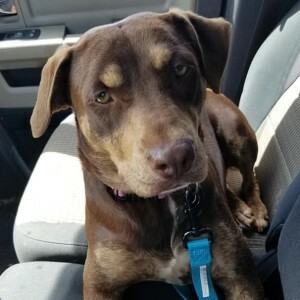 Fiona would do excellent as a farm or ranch dog and will stay near you even off-leash, but would need to be an inside/outside dog as she LOVES to be with people and is very social. She can jump a chain link fence so a stockade fence is a must! Fiona is spayed, vaccinated, and heartworm negative. Her adoption fee is $85.00. 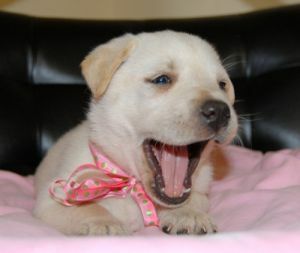 For more information on adopting Fiona, contact Michelle at michelle@foreveryoursokc.org. 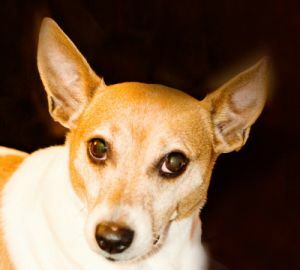 Bambi is an approximately 1-year old female Jack Russell Terrier mix and weighs around 20 lbs. She was rescued from the streets of OKC. 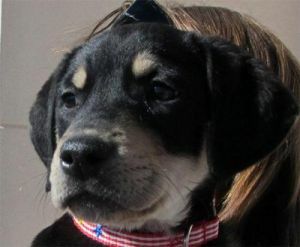 Bambi is a great natured, affectionate, and sweet-tempered girl. She loves other dogs, children, and people in general. Bambi loves her play toys and to run out in the yard. She is medium energy so she will need plently of play time and moderate exercise. Bambi is house and leash trained. She will need to be an inside/outside dog as she is very social and people orientated. She is spayed, vaccinated, and on heartworm preventative. Her adoption fee is $90.00. For information on adopting Bambi, contact Michelle at michelle@foreveryoursokc.org. 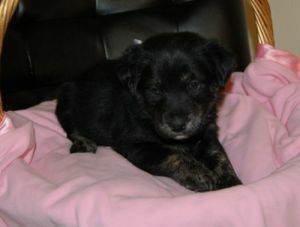 TO ADOPT CONTACT: Mindi at auntmindi@aol.com or call 405-640-3122. DOB 12/8/11. Very sweet, healthy, wonderfully socialized, and have even begun steps toward housetraining! Mom appears to be a Heeler mix, father is unknown. 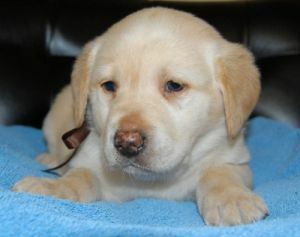 Puppy will be ready to go to new home any time after February 9th. At that time puppy will be fully vetted, including puppy shots, deworm, and spay or neuter. Home visits will be conducted prior to adoption. Adoption fee is $90. 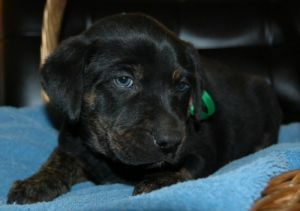 TO ADOPT CONTACT: Mindi at auntmindi@aol.com or call 405-640-3122. DOB 12/8/11. Lab/Heeler mix pup. Very sweet, healthy, wonderfully socialized with men, women, children, and other dogs. Have begun crate and house training, and are fully vetted including neutered, 3 rounds of booster shots, and 2 dewormings. Home visits will be conducted prior to adoption. Adoption fee is $90. This handsome boy is Baxter! 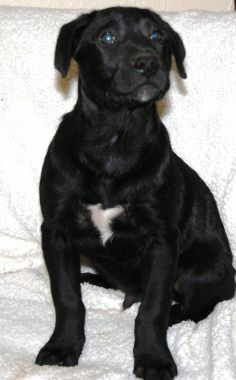 Baxter is an approximately 6-month old Lab/Heeler mix. He will be a large dog when full-grown. 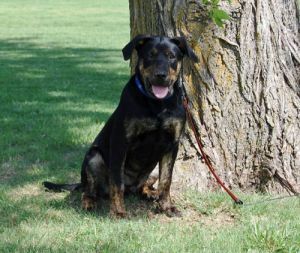 Baxter is very sweet-natured and wonderfully socialized with people and other dogs. He is also good with children and even cats! Baxter loves to play and is an expert fetcher! Baxter is house, crate, & leash trained. He would be a fantastic dog for an active individual or family! Baxter is neutered and current on vaccinations. His adoption fee is $90.00. If you would like to adopt Baxter, please contact his foster mom Mindi at auntmindi@aol.com or call her at (405) 640-3122. You can also contact Michelle at michelle@foreveryoursokc.org. This handsome boy is Russell, an approximately 16-month old male Rat Terrier/Blue Heeler/Cattle Dog mix who weighs 35 lbs. He was rescued from a local shelter. Russell is an affectionate and loyal boy who loves attention and will wait patiently for it. He loves to go for jogs and walks and does well on the leash once you are outside and in motion. Russell is very eager to please and loves his people. Russell would do best with female dogs or he would be perfectly happy being the only dog in the household. He loves to go for car rides. Russell has done wonderful with the children he has been around, but he does have that "herding" instinct and could gently nip at small children to keep them in line, lol. Russell is not a big fan of crates but is crate trained for short periods of time. Anytime his foster mom is home, he is allowed to roam the house. Russell is 90% house-trained and getting better all the time. He does not "mark". Russell also knows the sit and shake commands. Russell is neutered, vaccinated, and on heartworm preventative. His adoption fee is $100. For more information on adoption Russell, please contact Michelle at michelle@foreveryoursokc.org or Betty at betty@foreveryoursokc.org. 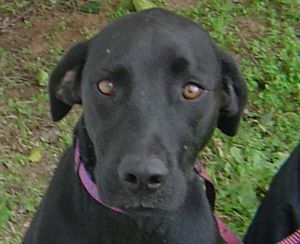 Buzz is an approximately 18-month old Lab/Pointer mix and weighs around 50 lbs. Buzz was rescued from the streets. Buzz is a total sweetheart of a dog. Excellent with children and other dogs! He is very affectionate and smart. Good on a leash, crate-trained, and appears to be house-trained as well. He is fine with other dogs, but no cats or livestock . Buzz also needs a stockade fence as he can jump a chain-link one. Buzz loves to give hugs and will wrap his paws around you to show his love. Buzz is neutered, vaccinated, and heartworm negative. His adoption fee is $90.00. For more information on adopting Buzz, contact Michelle at michelle@foreveryoursokc.org. Hello! My name is Darling Darla! Thatâs what my foster mom calls me. I was taken to this place called the pound by my parents, along with 3 siblings because they had too many dogs. My siblings were more out-going than me and were selected to be put up for adoption. I heard them say that I was unadoptable because I was so timid, but I was only 7 months old and I was so scared! I did not understand what they meant by being adopted or euthanized, but I figured adoption was good because my siblings all got to go to a cage where people could see them and I had to go to a cage in a room along with a lot of other dogs where nobody sees you. When Ms. Michelle found out about me, I was supposed to have already been to that cold room that you did not come out of. But she called anyway and found out that I was still available. A very nice lady went to the pound that night and kept me until the next day, since I was the first in line for the morning trip to the room. The next day I met my foster mom and all her kiddos! I have been having the time of my life! There are big and little dogs there. I have been working hard on my manners and I do super in the crate. My foster mom says I am a great Catahoula Leopard Hound puppy, but that I can be a little rough when playing with little kids and little dogs, so I probably should go where kids are a little bigger and dogs are a little bigger. She tells me I am a sweet, loving dog, but I still do puppy things because I am only about 9 months old. I have not had an accident in my crate or when Iâm out of it in a long time. I get better on the lease every time, but I am a strong girl so my foster mom uses a harness on me. So, if it is a great puppy that you want to nourish into an awesome dog, Iâm the girl for you! Darla is spayed, vaccinated, and heartworm negative. Her adoption fee is $90. 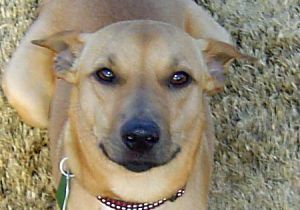 If you are interested in adopting Darla, email Michelle Ray at michelle@foreveryoursokc.org. Please meet Murphy! 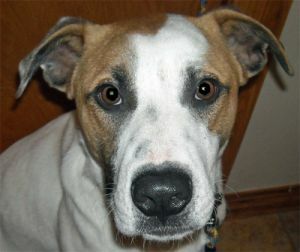 Murphy is an approximately 1-year old male Pointer/Boxer/Labrador mix and weighs about 47 lbs. He was rescued from the streets. Murphy loves people and other dogs. 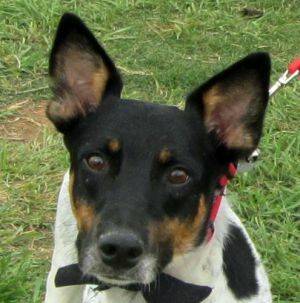 He would do best in a home with other dogs as he is very playful and really enjoys the company of dogs. Murphy also loves chew toys and just chilling with his people. Murphy is 95% house-trained and hasn't had an accident in awhile. He is good on a leash and is crate-trained. Murphy has a lot of love to give and would be a wonderful addition to any family! Murphy is neutered, vaccinated, and heartworm negative. His adoption fee is $75.00. For more information on Murphy, contact Michelle Ray at michelle@foreveryoursokc.org. 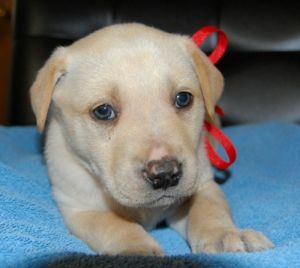 Meet Torrie, Torrie is an 11-week old sheperd/lab mix. She was rescued from the shelter just hours before her time was up. Torrie went right into a foster home and is loving life. Torrie is a playful little pup who loves other dogs, kids and even cats. She would be an excellent family dog or a wonderful dog for an active individual. Torrie is spayed, current on vaccinations, and on heartworm preventative. 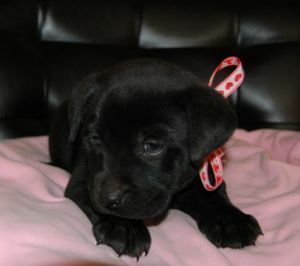 Her adoption fee is $90.00. If you would be interested in meeting Miss Torrie, please email Michelle Ray at Michelle@foreveryoursokc.org. Please meet Token! Token is an approximately 2-year old male DSH cat, which was rescued from a local shelter. Token is not only beautiful but friendly and affectionate as well. He seems to do fine with other cats, but no sure about dogs. Most likely, if a dog is cat-friendly, Token won't have an issue with it. Token is neutered, vaccinated, and Feluk negative. His adopton fee is $65.00. If you are interested in adopting Token, please contact Michelle at michelle@foreveryoursokc.org. Hello, Normally I write the stories from information gathered from the foster home. In this case, I will let the Lori, Opie's foster, tell you about him herself! This is Opie and Opie rocks! I am fostering Opie and I can't even begin to tell you what a wonderful dog he is. He appears to be a Rat Terrier/JRT mix approximately 6-years old, and weighs about 25 lbs, (we are working on his weight with walks and sensible eating). Opie was rescued from a local shelter. He is SMART, incredibly mellow, completely potty trained, pretty good on a leash and getting better every day. Doesn't seem like he was walked much on a leash but he's getting used to it and goes every day with my other dogs and does fine. He is crate trained and in fact loves his crate and will just go in it to nap. I don't think there's really a need to crate him but we didn't know at first and now he seems to love it so we've just kept it for him to hang out in. He's been great with all dogs we've introduced him to. We haven't tried cats but I have a feeling he'd be fine. He's become great friends with my huge labradoodle and my little dachshund mix and my husband and I joke that he is the best dog we have! Opie is very very mellow and loves to just relax in his crate or next to you on the sofa. He minds and just wants to be loved but he is not overly needy. He just has the perfect personality for someone who wants a calm, sweet indoor dog. He is fine with kids but would probably be happier without them around. My 9 year old likes to play and Opie would prefer to hang with the grownups, but he is not aggressive with children. Opie would enrich someone's life in a big way. Opie is neutered, vaccinated, and heartworm negative. His adoption fee is $90.00. If you would like to adopt Opie, please contact Michelle Ray with Forever Yours Dog Rescue at michelle@foreveryoursokc.org or Shelby0324@aol.com. This beautiful guy is Finn! Finn ~ is an approximately 2-year old male Husky/Retriever mix who weighs around 50-55 lbs. He was rescued from an Oklahoma shelter just hours before his stray time was up. Finn is a total sweetheart, just a big teddy bear. He loves to play with toys, balls, ropes, and other dogs. His best friend at my house is my 12 lb Rat Terrier. They can play for hours, and Finn is so good with him. Finn loves people and other dogs! He is very friendly. He is great on a leash and is crate and house trained. Finn's coat is soft like a teddy bears as well. He would be great with children, he is very gentle. Finn has good house manners and will just lay at your feet while you watch tv or use the computer. Finn would be a wonderful addition to an individual or a family. He has been a wonderful foster dog, but he deserves his own wonderful family to love him. Finn is neutered, vaccinated, and heartworm negative. His adoption fee is $90.00. If you would like to adopt Finn, please contact Michelle Ray with Forever Yours Dog Rescue at michelle@foreveryoursokc.org or Shelby0324@aol.com. This very handsome boy is Bullet! 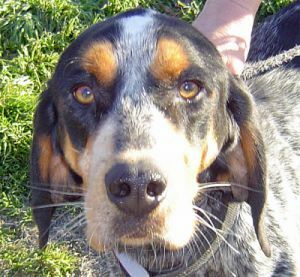 Bullet ~ is an approximately 1-year old male Blue Tick Hound and weighs around 45-50 lbs (he has gained some much needed weight since being at his foster home). He was rescued from a shelter on his last stray day. 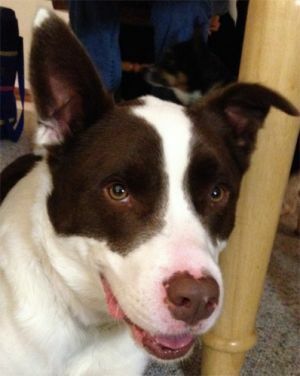 Bullet is a fun, active, and affectionate boy. He loves to play with other dogs and sniff, sniff, sniff! Bullet will need plenty of exercise, be it walks, runs, or lots of playtime. Another playful dog his size would be ideal, but as long as he gets a release for his energy, he would be find as an only dog as well. He will need a stockade fence as hounds are known for jumping a chain-link if they see something just asking to be chased! Bullet will need to be an indoor/outdoor dog, and will need assistance with house and crate training. He loves to be outdoors, but any dog should also be welcomed in the house to socialize with the family as well. Bullet is neutered, vaccinated, and heartworm negative. His adoption fee is $90.00. For more information on how to adopt Bullet, contact Michelle Ray at michelle@foreveryoursokc.org or Shelby0324@aol.com.